A Tribute to the American Heroes of the Space Shuttle Columbia. The Shahnaz Longa by Ethem is one of the most played instrumental pieces of the longa genre. Its structure is representational of the form: a fast tempo in three clear sections with a repetitive part that is played between the sections. The composition is short but it clearly serves the idea of exploring the different tonal centers of the maqam (musical mode). The Sama'i musical form originated in Turkey and has spread throughout the Middle East. Kurd is the Arabic or Turkish name for the Phrygian mode (a scale or tonality from E to e on the white keys of the piano). The classical theory for composing a Sama'i is very demanding because the laws of its musical mode interfere with those of its structure. The form is recognized by the 10/8 rhythm which is assigned to the first three sequences and is followed by two sequences of ternary rhythm. The main sequence of 10/8 is then repeated to end the piece. The composer states, "It was my pleasure to make a new arrangement of my Sama'i and dedicate it to the MESTO orchestra; the MESTO spirit has inspired its new orchestration." Originally composed as a string quintet (two violas) with percussion, this work was orchestrally expanded for the MESTO ensemble. It is reflective of Bulgarian folk instrumental and stylized vocal music. It takes advantage of the Bulgarians' love of odd meters where the beats are of unequal length. The first section, beginning with a solo improvisation on viola, is in 7/16 meter. Melodically it first takes advantage of the warm resonance of the viola's low strings before adding the other instruments in the orchestra. The piece becomes harmonically dissonant before the 'vocal' section in 11/16 meter. It concludes with a return to the opening melodies in 7/16. "The Sound of Music" tells a tale of love, courage and music, set in Austria before World War II. Rodgers and Hammerstein wrote a brilliant score which brings to life the poignant story of the Von Trapp family. This arrangement presents several of the most memorable songs from this classic movie score. The Greek composer Manos Hadjidakis began his musical career in Athens writing piano music. In 1946 he found his true vocation in writing for films and was rewarded for his efforts with a 1960 Academy Award for his song, "Never On Sunday." Many recordings have been made of this haunting tune, with its traditional Greek rhythms and a simple but attractive melody that speaks of a prostitute in Greece who refused to work on Sunday, her day of rest. The screen play for the film "Zorba The Greek" was adapted from a novel by Nikos Kazantzakis, with original music by Mikis Theodorakis. The score captures the essence of the movie and propelled its composer into international prominence. 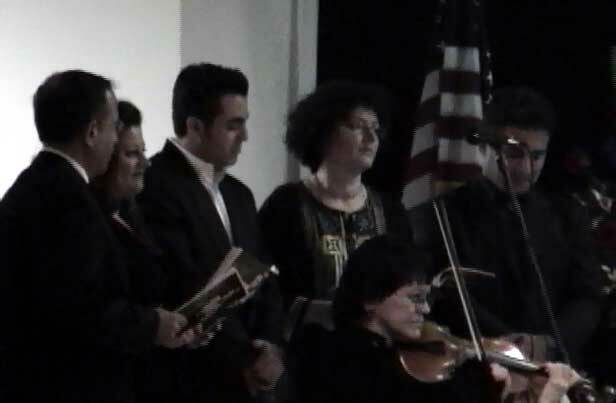 Although his studies at the Athens Conservatory prepared him for a career in music, it was his special interest in Greek folk music that gave him the creative spark to write the score to "Zorba". The main theme is used liberally throughout the film but the scene that captivates the audience is the one where Zorba teaches his English friend how to dance the Syrtaki. It is here that the music and character 'Zorba" become one. Tonight's performance of "Shabnam" is a world premier. 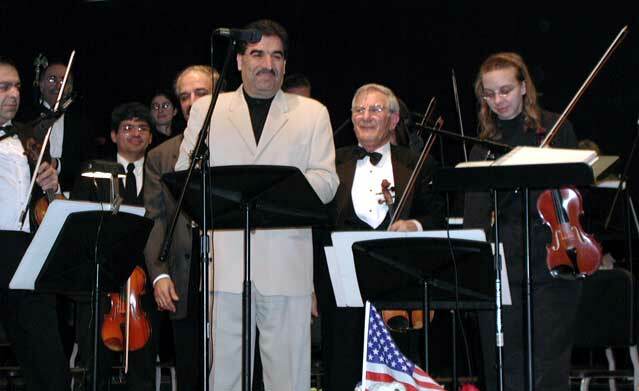 Composed in an A-B-A form, this lovely piece was written for Kourosh Zolani's wife, Shabnam. Mr. Zolani, whose music is powerfully evocative, describes his feeling for this music calling it, "My most beloved piece for the most inspiring person in my life, Shabnam." 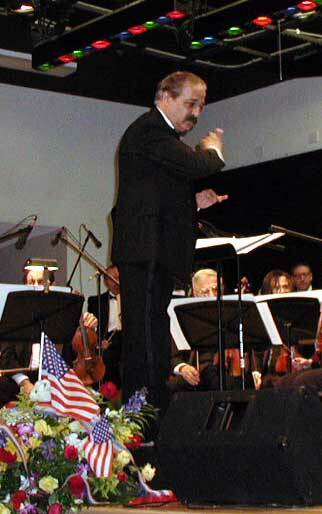 Farid El-Atrache is considered by his many fans as a sensitive and unique composer and singer. He is also greatly appreciated as an actor and 'ud virtuoso. He starred in thirty-two films in which he always played the role of a star singer, himself. 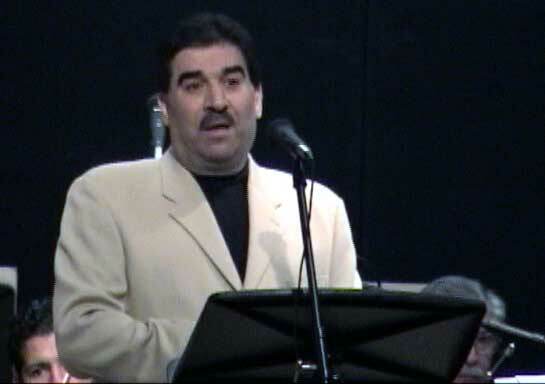 He is also known as "Malik al-'ud" (the king of the 'ud) for the distinctive style of his musical phrasing and right-hand risha (plectrum) technique. 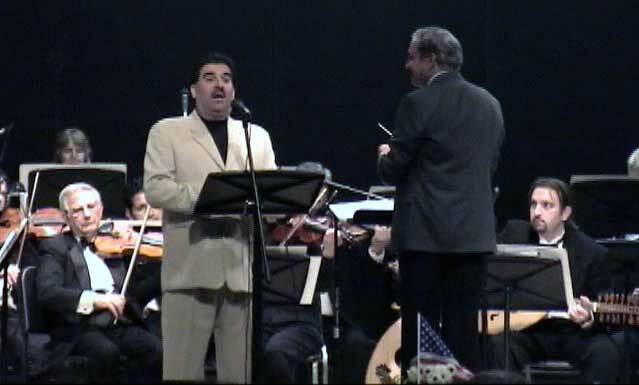 As a tribute to El-Atrache's undisputed contributions to Eastern music, Nabil Azzam performs Ya Gameel on his violin. This is the instrumental introduction to a song of the legendary singer, Umm Kulthum. Many composers have written long introductions to their songs as a marketing tool for their instrumental music. These pieces are often performed as independent instrumental compositions. 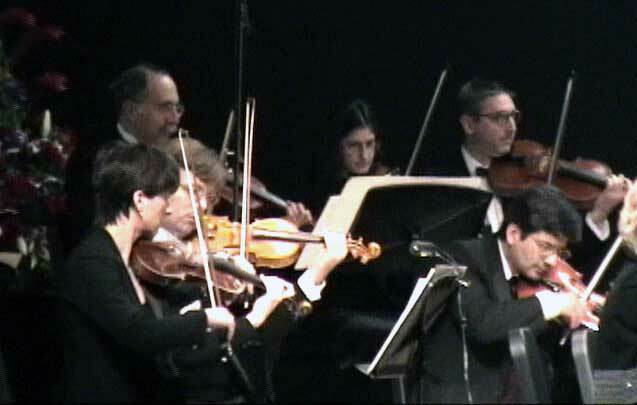 This genre of composition is heard in a variety of venues from weddings and nightclubs to concert halls, depending on the instrumentation and the ensemble. This is one of hundreds of songs performed by the celebrated Lebanese singer Fairuz who, together with her husband Assi Rahbani and his brother Mansour, established a new musical culture in Lebanon. 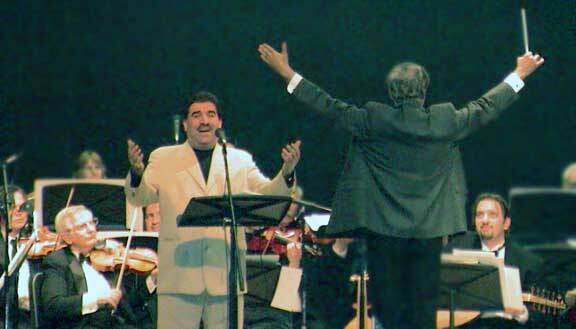 The Rahbani Brothers' fame was based on creating a varied repertoire, culminating in numerous musical shows they produced for Fairuz on sell-out international tours. The poetry for this song is written in classical Arabic and the melody is lyrical and romantic. Egyptian composer Sayyid Darwish (d. 1923 at the age of thirty-two) is considered the pioneer of the modern style of Egyptian music. Among his contributions are the numerous musical plays in which he also participated as a singer and actor. Darwish also composed a number of short songs that were popular throughout wide sectors of society. He is also known as "The Peoples' Composer." 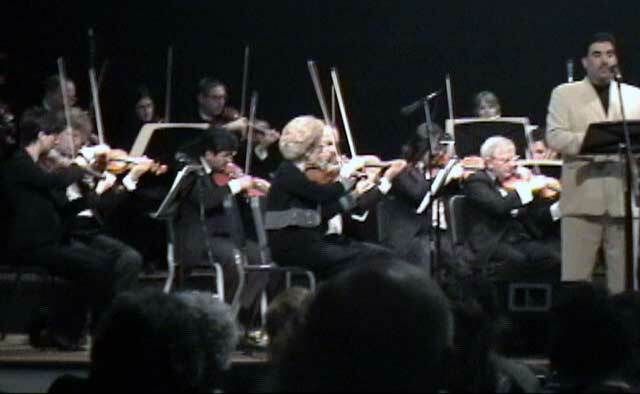 The arrangement of this medley centers in the orchestral accompaniment. 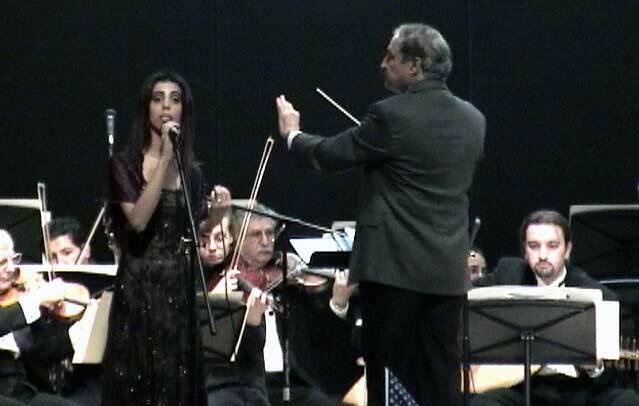 Since one of the artistic aspects of traditional vocal music of the Levant lies in the melody that is delivered by an expressive, enchanting, yet strong voice, Dr. Azzam was careful not to overuse the orchestral accompaniment. Instead he used a bit of "harmonic" treatment for in the orchestral score. The backup singers who repeat the refrain are used to enrich the melodic lines and give the soloist the additional freedom to interact simultaneously with them in little variations. 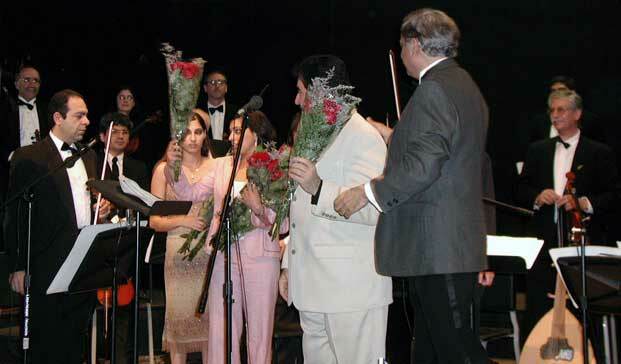 In the present performance Mr. Samir Rizq sings a set of medleys in two different modes especially arranged for MESTO. He is a performer respected as a singer of "the music of the people." We hope the audience feels the warmth and love of this work that foregoes technique in favor of the joy of melodic simplicity.